The view of Phang Nga Bay from Six Senses Yao Noi takes your breath away. It is an epic setting for all that the resort has to offer: yoga at sunrise, water sports, watching classic movies under the stars and world-class cuisine across six restaurants and bars. 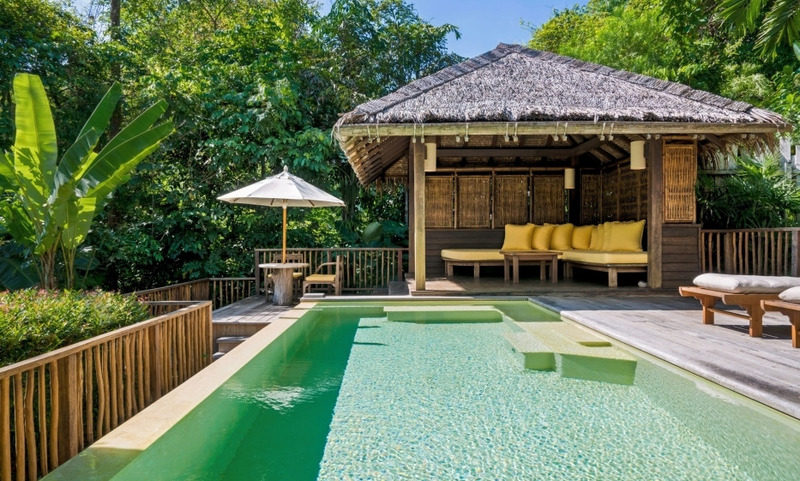 The Six Senses Spa, a traditional long house built on stilts, over the jungle and beside a tinkling waterfall. Great leisure opportunities such as sailing, excursions to the nearby rock islands, with secluded beaches,rock climbing opportunities, scuba-diving. Excellent hotel, beautiful landscape. Alice was extremely Kind. A perfect place for a restful stay in a relaxed atmosphere, with a perfect staff. A pleasant atmosphere and a great sense of calm and space. I really recommend it, either to enjoy the hotel facilities or explore the beautiful surrounding nature.